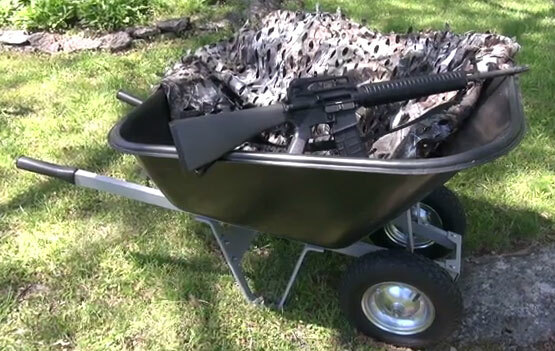 A new concept for yard and home defense, incorporating a common backyard implement. Hehe I love the internet. Why did he have to kill the lawnmower? And i bet you could fix that lawnmower up with some gaffer-tape and have it run like new lol. I just don’t understand the impulse to destroy perfectly usable items. Got a brand new iPad before anyone else, but hate Apple products? Why not shoot it with a rifle or shotgun? Got a lawnmower that works, but hate mowing the lawn? Why not shoot it with a rifle? Don’t sell it! Don’t give it to someone who can use it and can’t afford one, just destroy it and put the video on the internet. STUPID! People that do that with ipads etc.. and get lucky enough that the video goes viral make way more money off it, and gain way more exposure than the ipad was worth in the first place. The guy who made the video said the lawnmower was shot because the self-propelled drive was ruined, and would cost more to fix than he paid for the mower itself. Well, I guess that proves a .223 CAN go through an engine block.